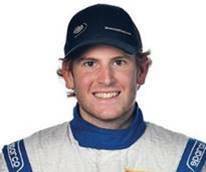 Michael Lewis returns to Bryan Herta Autosport this season as he will drive the #98 Hyundai Veloster N TCR with Mark Wilkins in the IMSA Michelin Pilot Challenge. Photo by Andrew Modena. 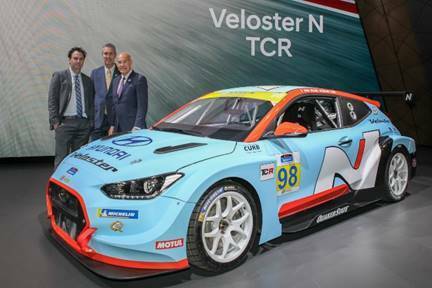 Indianapolis, IN — Bryan Herta Autosport w/ Curb Agajanian will debut the Hyundai Veloster N TCR in the 2019 IMSA Michelin Pilot Challenge season opener at Daytona International Speedway as part of the 2019 Rolex 24 Hours at Daytona event. 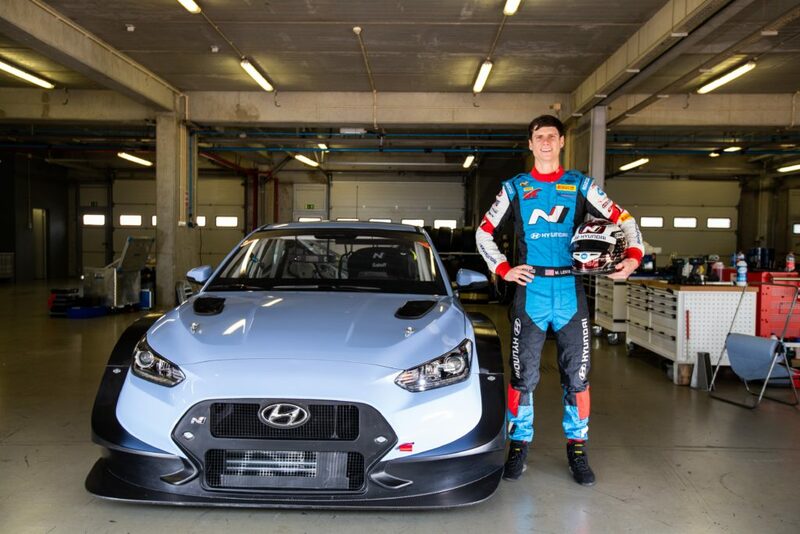 Hyundai and Bryan Herta unveiled their #98 Bryan Herta Autosport Veloster N TCR race car and announced their 2019 driver roster at the North America International Auto Show in Detroit on Monday, January 14. In addition to unveiling this year’s challenger, Hyundai TCR veterans Michael Lewis and Mark Wilkins were confirmed to return to the #98 Bryan Herta Autosport w/ Curb-Agajanian entry while Harry Gottsacker and Mason Filippi will join the team to drive the #21 Hyundai Veloster N TCR. The North American International Auto Show played host to the announcement of Hyundai’s entrance into the IMSA Michelin Pilot Challenge this year with Bryan Herta Autosport. Photo by Andrew Modena. Bryan Herta Autosport and Hyundai began their partnership in 2018 with a two-car assault on the Pirelli World Challenge TCR class. 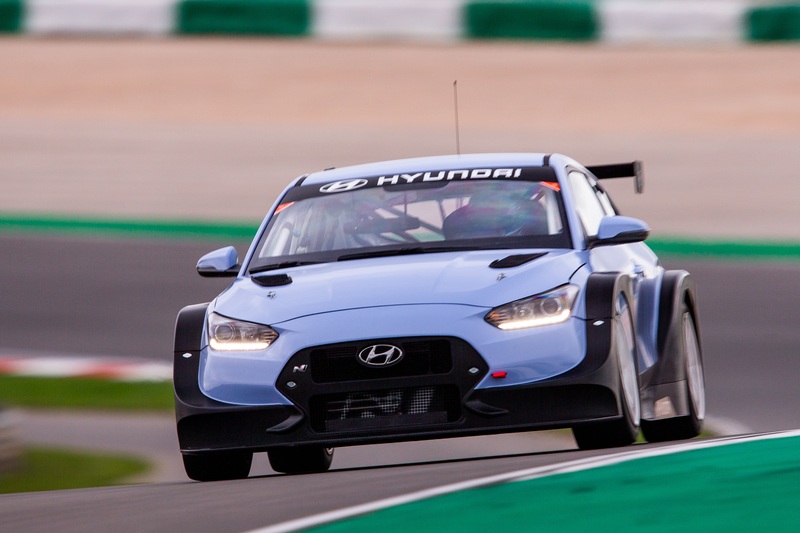 They found success together immediately with the Hyundai i30N TCR, winning eight of 13 races with Michael Lewis and Mark Wilkins, and capturing the Team championship and Manufacturers championship for Hyundai. After claiming eight of 13 victories in the 2018 Pirelli World Challenge TCR class, Bryan Herta Autosport and Hyundai are making the jump to IMSA competition, beginning with the Rolex 24 at Daytona. 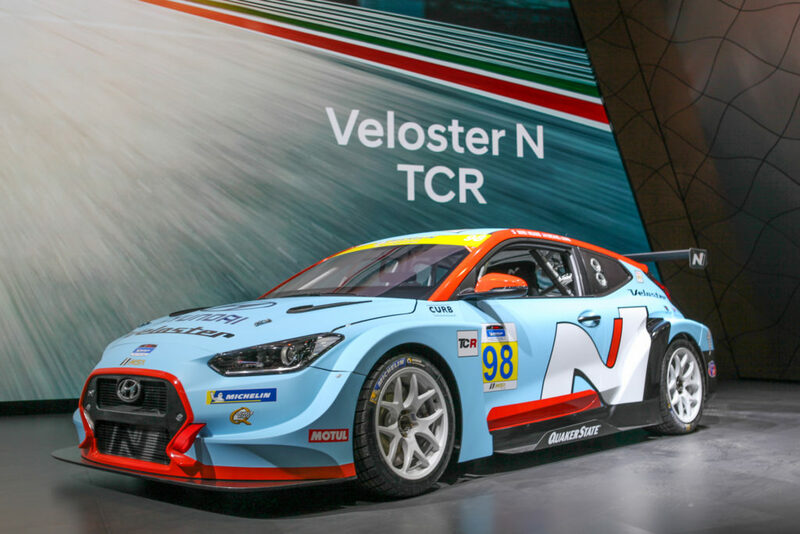 Transitioning to the IMSA Michelin Pilot Challenge for 2019, the 350-horsepower Veloster N TCR was designed by the same Hyundai Motorsport Customer Racing Team that developed the championship-winning i30 N TCR. Like its i30 sibling, the Veloster N TCR is produced at Hyundai Motorsport Headquarters in Alzenau, Germany. The two cars share around 85 percent of their core components, including the 350-hp 2.0-liter turbocharged engine. 2018: Pirelli World Challenge GTS 2 wins, 2nd in the GTS overall and GTS SprintX Championship. ASE and Cometic Gasket, Inc. will return as personal sponsors for 2019 with their logos appearing on Michael’s helmet and race suit. The highly competitive IMSA Michelin Pilot Challenge is a 10-race championship across North America’s legendary racetracks. It features eight two-hour races and two four-hour endurance events, beginning with round one at Daytona International Raceway January 24–25. Follow the action live at www.imsa.com. NBC Sports Network will air the race from Daytona at 1pm ET on Wednesday, February 6. For more information, visit www.BryanHertaAutosport.com. To view the IMSA Michelin Pilot Challenge broadcast schedule on NBC Sports, please click here. Tune in to NBC Sports beginning at 1 p.m. EST on Wednesday, February 6, to watch Michael Lewis and his teammate Mark Wilkins in their first race of the IMSA Michelin Pilot Challenge. Founded in 2009, Bryan Herta Autosport has grown from a single car Indy-Lights team into a championship winning auto racing franchise. Led by IndyCar and Sports Car star Bryan Herta, Bryan Herta Autosport has won races in every discipline they’ve entered, including Indy Lights, Indy Car, Global Rally Cross, and Pirelli World Challenge. BHA rose to prominence after winning the 2011 Indianapolis 500 in what was the final race of the Centennial Era, a celebration of 100 years of racing at The Indianapolis Motor Speedway, with driver Dan Wheldon. Five years late, BHA partnered with Andretti Autosport, and defied the odds again, winning their second Indianapolis 500 with rookie driver Alexander Rossi. 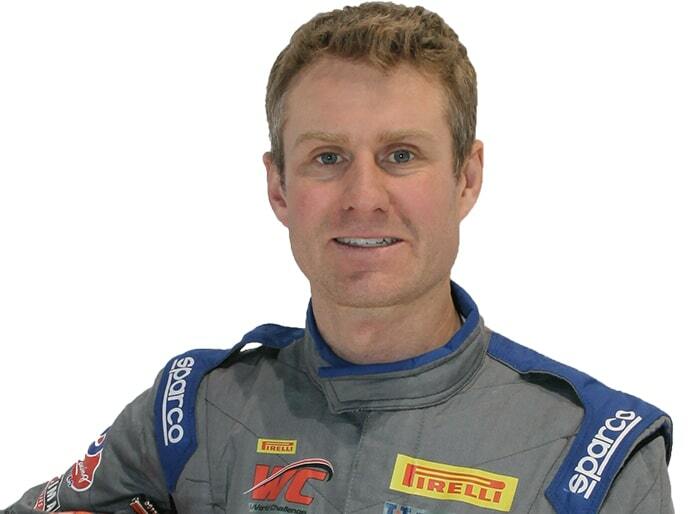 BHA entered the Global Rally Cross Championship in 2015 under the name Bryan Herta Rallysport, scoring multiple podiums and wins. 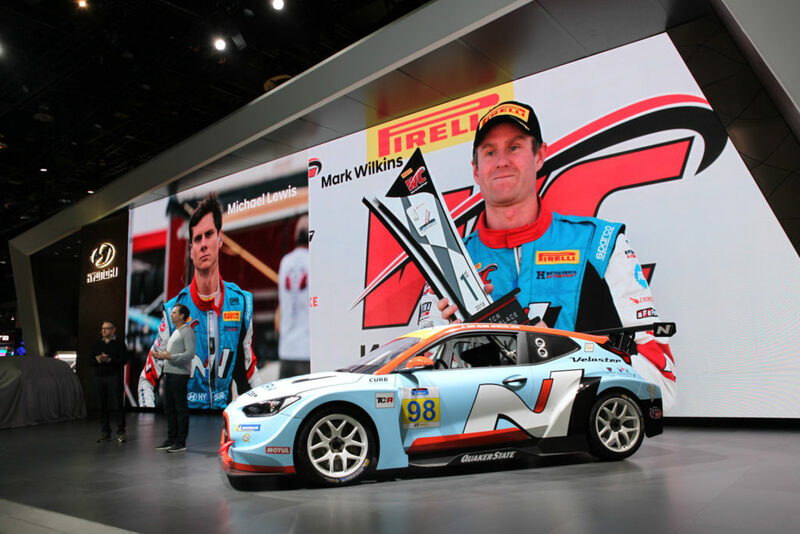 In 2018, BHA entered the Pirelli World Challenge in partnership with Hyundai and dominated the TCR class, winning seven races with drivers #98 Michael Lewis and #99 Mark Wilkins in the Hyundai i30N TCR, securing the team and manufacturers championships in the process. For 2019, BHA continues its’ successful partnership with Andretti Autosport to field the #98 U.S. Concrete Honda w/ Curb Agajanian in the IndyCar series for driver Marco Andretti. Also, in 2019, BHA takes their championship winning Hyundai TCR team to the IMSA Pilot Challenge where they will enter the #98 Hyundai Veloster N TCR for Michael Lewis and Mark Wilkins and the #21 for Harry Gottsacker and Mason Filippi. Hyundai Motor America is focused on delivering an outstanding customer experience grounded in design leadership, engineering excellence and exceptional value in every vehicle we sell. Hyundai’s technology-rich product lineup of cars, SUVs and alternative-powered electric and fuel cell vehicles is backed by Hyundai Assurance—our promise to deliver peace of mind to our customers. Hyundai vehicles are sold and serviced through more than 830 dealerships nationwide with the majority sold in the U.S. built at U.S. manufacturing facilities, including Hyundai Motor Manufacturing Alabama. Hyundai Motor America is headquartered in Fountain Valley, California, and is a subsidiary of Hyundai Motor Company of Korea. This entry was posted in News on January 20, 2019 .